Thousands of clinical trials are unleashing the power of the body's own defences against tumours. Our bodies are constantly generating cancer cells, which the immune system is constantly destroying. The cells that escape and grow into tumours are now the target of treatments that stoke the immune assault against them — often with dramatic success. The first checkpoint-inhibitor drug, which takes the molecular brakes off T cells to unleash them on tumours, was approved by the US Food and Drug Administration (FDA) in 2011. This year, the FDA approved the first two chimaeric antigen receptor (CAR) T-cell treatments, in which a person’s immune cells are re-engineered to attack cancers. Thousands of clinical studies are pitting such immunotherapies against almost every form of cancer. Among the beneficiaries are a few people with metastatic lung cancer whose lives have been extended by checkpoint inhibitors. Others, with advanced blood cancers, are doing well after treatment with CAR T-cell therapy. Combining treatments is likely to help an even greater number of people but researchers are struggling to pinpoint who will benefit from specific pairings of drugs. Potentially fatal side effects, although rare, are also not fully understood. The development of neoantigen vaccines, which are tailored to seek out multiple targets on an individual’s tumour, is progressing rapidly. 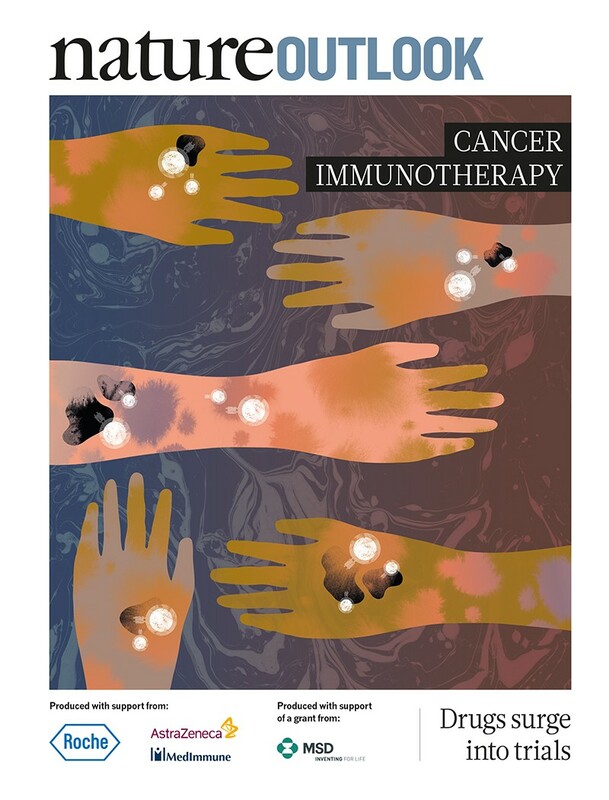 Although researchers are making great strides, economics poses a challenge: the high cost of immunotherapeutic agents will require all stakeholders to agree on appropriate payment. We are pleased to acknowledge the financial support of F. Hoffmann-La Roche and MedImmune, the global biologics research and development arm of AstraZeneca, in producing this Outlook. Additional funding was provided by a grant from Merck & Co., Inc. in Kenilworth, New Jersey. As always, Nature has sole responsibility for all editorial content.